Well folks, let's stir the stew. I moderate a subreddit.... take a guess which one. On www.reddit.com/r/Ford , we had a poster post these images today. Holy crap! This would be a good thread for speculation, what does everybody think will power this car? The Ecoboost from the GT? Last edited by SP1966; 08-01-2016 at 12:17 PM. 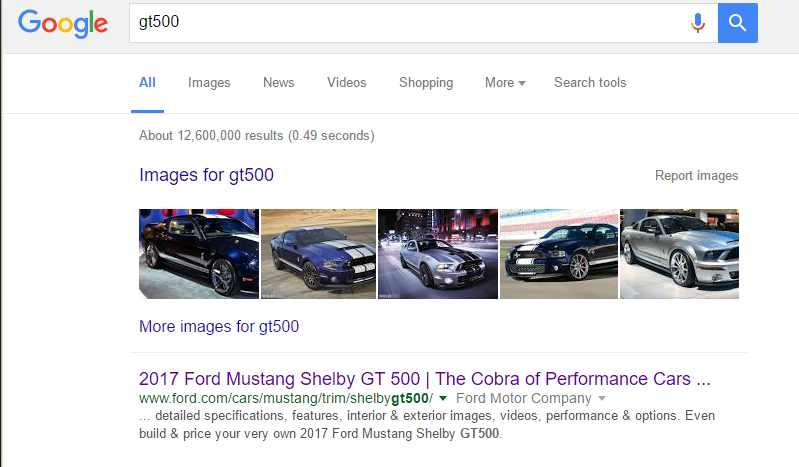 I have no problem with the GT EcoBoost being used in a Mustang. Just not sure if it should have the GT500 name. 1. That engine just won it's class at Le Mans. I agree it feels wrong, but that doesn't mean it couldn't be pretty awesome! My guess is it'll be Voodoo based, with one of the two boosting options. I'd guess it'll be supercharged as there isn't exactly a lot of room for turbos under that hood. I predict 3.5TT with AWD. Yes, AWD. I think Ford is aiming to take this car into a much higher level. Not convinced this is a Hellcat competitor. A boosted V8 is more than likely, although no need for Voodoo, if you have boost. But I am intrigued by the idea of a 650hp tuned GT motor that would be much lighter and have that raucus racing sound. As much as 130bs lighter even -- recalling how much weight was added to the previous GT500 over the Boss? I think a new GT500 can go in a slightly different direction than the competition (Hellcat ZL1) by starting with the lighter bits from the GT350R, and perhaps take it a step further yet, and undercut the R weight a bit, while including A/C, back seat niceties, etc. So the R weights 3662lbs. How about a 3600lbs GT500 with an updated chassis that can easily top 200mph, and steal the press. Why not, if it's your halo Mustang after all. The power to weight would be very impressive, and been there done that over and over and over with boosted V8's. On top of it all, cheating the gas guzzler tax(which adds a hefty increase to purchase cost) would be nice too. Yeah, no classic V8 sound is a slight drawback, but the draw would be it's uniqueness. Stand out from the low volume crowd. People said that about the Ford GT but it worked out fine. We're already in the 2017 model year though, would it make sense to introduce a new model part way into the final MY before the refresh? Probably just a placeholder URL for the next model or something. I'm sure they're working on the site and one of the devs just threw it up there. 2b2 and badhac like this. 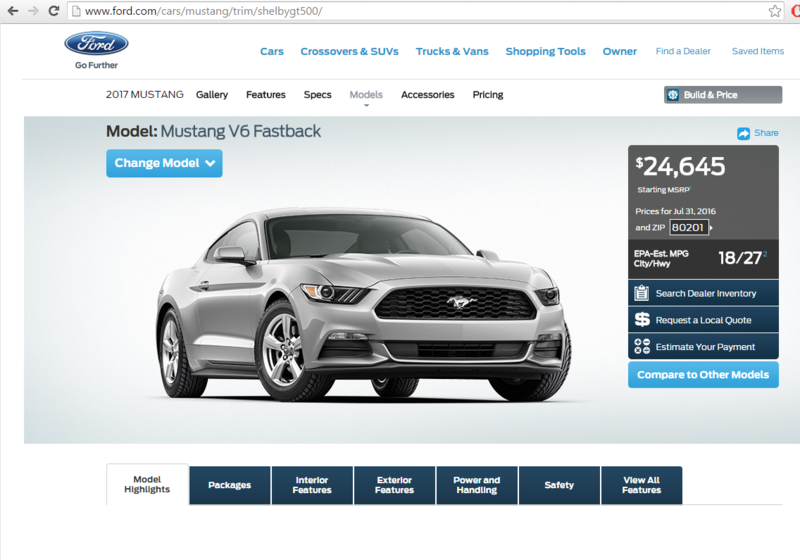 I have no problem with the engine being in the Mustang but I am wondering if it should have a new name. The difference with the GT (GT40) was that it was Ford's fastest car period. The Mustang has so many different trims and names maybe it's time to do a new one with new technology. That's all I am saying, I was never against the GT having the EB V6.